Click the video below for Brent’s Ballers (Week 6 edition) for waiver wire suggestions in under 4 minutes. Enjoy! Brent Carlson and Son breakdown the trade of Jimmy Butler to the 76ers for Dario Saric (Mario with the D), Lord Robert Covington, and some other stuff. Comment below with your thoughts on the trade. Thanks! Razzball presents the inaugural edition of the Dynasty Deep Dive podcast, hosted by our one and only dynasty guru from across the pond, Craig Bozic. In this episode, Craig answers questions about Harry Giles and Dragan Bender, profiles Atlanta Hawks rookie Trae Young, reveals three potential buy-low candidates for dynasty leagues, and kicks off his 2019 NBA draft class profiles with Oregon center Bol Bol. Every week on the Razzball Fantasy Basketball Channel, I will bring you my Top 5 waiver adds for the week. Enjoy this week’s edition of Brent’s Ballers. The Razzball Fantasy Basketball Podcast “The Video” #24 – Son’s Surprises & Pretenders is up on YouTube for your viewing and listening pleasure. Son and I discuss which players have surprised us so far this season and which players are just pretenders and should be left on waivers. Subscribe to the channel and click the notification bell to make sure you do not miss an update. Also, please leave your comments, questions, and likes on the video because all of that helps the channel to grow and we love talking fantasy hoops. We just wanted to say thank you to all of our readers and supporters, we work hard to bring you the best fantasy basketball content around and this channel is just another way to spread the word. Brent, the George Lucas of Razzball, has been busy providing content on YouTube for your viewing and listening pleasure. His newest endeavor is Brent’s Ballers, a weekly clip that highlights his waiver wire pickups for the week. Click. View. Enjoy. Please Like and Subscribe, as that helps us to continue providing the content that you want. If you want to see these, vote by clicking. Also, please provide any suggestions in the comment section below. Thanks! Now scroll up and vote! 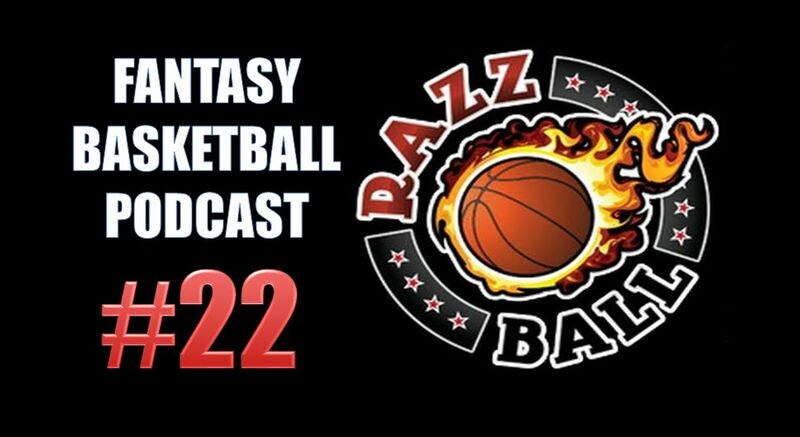 The Razzball Fantasy Basketball Podcast #22 – Fantasy Basketball is Back! is up on YouTube for your viewing and listening pleasure. 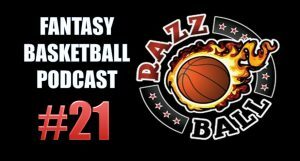 Craig and I are joined by Razzball writer Kevin to celebrate the start of the fantasy basketball season and to answer questions from Razzball Nation. (use hashtag #RazzballNation on Twitter to ask questions and show your support). The Razzball Fantasy Basketball Podcast #20 – NBA Preseason Primer is up on YouTube for your viewing and listening pleasure. Son, Craig, and I go over what we have seen so far in the NBA Preseason and discuss how it could impact fantasy basketball. Subscribe to the Razzball Fantasy Basketball channel and click the notification bell to make sure you do not miss an update. Also, please leave your comments, questions, and likes on the video because all of that helps the channel to grow and we love talking fantasy hoops. We just wanted to say thank you to all of our readers and supporters, we work hard to bring you the best fantasy basketball content around, and this channel is just another way to spread the word.